So, it is already the month of November and winter is setting in. Winter is the most beloved season among all especially in hot countries. It begins after rainy season and stays for 3 months nearly. You have to be extra cautious about your health when it is winters. As per the dieticians and food experts, you should eat healthy and nutritious food items. Warm winter food can beat the chill of this season. During this time, you may avail seasonal produce that nourish the body in the best manner. Certain foods can fortify the meals and really nourish the body and uplift the mood. Wondering what are the best winter foods? Well, they are such foods that are warming, comforting when eaten and also nourish the body. Winter foods are actually packed with such minerals and nutrients that you need during the season. Winter is the time to enjoy fiber-rich, colorful and flavorful food stuffs. Pie, fudge, cookies and chocolates- you are not just left with food options loaded with calories. The best place to look for healthy winter food would be the grocery store where you can find special food stuffs for winter. Here I will recount the top healthy winter foods you should consume during the winter season. Leafy greens and dark veggies qualify for the best winter foods that nourish the body inside and outside. Stuff your plate with vibrant and dark leafy green veggies to get that vitamin boost. Dark and leafy greens are best winter foods since they are full of Vitamin A, Vitamin C and Vitamin K. Green veggies is also rich in Omega-3S, folate and several kinds of minerals. They are rich in nutrients while fewer in calories. Make sure the food plate is full of kale, spinach, lettuce, mustard greens and various other sorts of leafy greens. In most places citrus fruits are only available during winters. Well, they are loaded with all sorts of vitamins including Vitamin C. Vitamin C rich diet boosts immunity system and some of the must-have citrus fruits are grapes, oranges and limes. 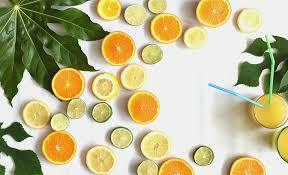 Orange and lime are great source of fiber, folate and potassium. According to dieticians and food experts, lentils are nature’s gift to mankind. 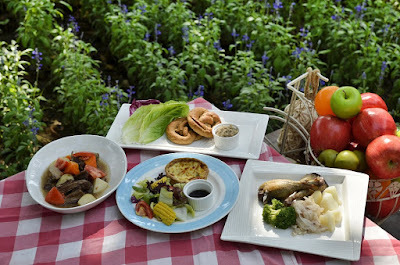 It is a very healthy diet food option which is even recommended to expecting women. Lentils are rich in folate acid and there are different sorts of lentils available in the market. You may either consume it solely or mix it in winter food recipes. It is again a classic winter food item which can heat the body and help to beat the cold. The amazing potato is packed with fiber, folate and Vitamin B6. Sweet potato is the winter staple food and one must consume it for the range of health benefits it delivers. It is rich in Vitamin A, Vitamin C, Potassium, fiber, calcium and also sodium. Pumpkin or squash must form the part of your diet during winters. Pumpkin offers the healthy supply of potassium, fiber, Vitamin A, C, K and Vitamin B6. Are you eating eggs regularly during winters? Consume eggs on a regular basis if you are not doing it. Consuming eggs are a fabulous way to beat the dreariness of winters. It is rich in almost all sorts of vitamins and minerals including Vitamin A, Vitamin K, Vitamin B6, Vitamin B12. It has all the minerals including iron, calcium, certain fatty acids, potassium and healthy proteins. As it is the most natural source of Vitamin D, you should consume eggs. Besides eggs, mushrooms are rich source of Vitamin D. Mushrooms are packed with essential nutrients and minerals and so it is important to have it during winters. Mushroom is packed with selenium and renders fewer calories. To stay warm and energetic during winters, you must consume nuts. It is full of B-Complex vitamin, Vitamin E, magnesium, Omega-3S, healthy proteins, selenium, calcium and zinc. There are plenty of options in best winter foods. The choice depends on your body needs and calorie requirement. Some of the items you can’t skip during winters are root veggies, jaggery, pomegranates, garlic, onion, grapes, dates and oats.